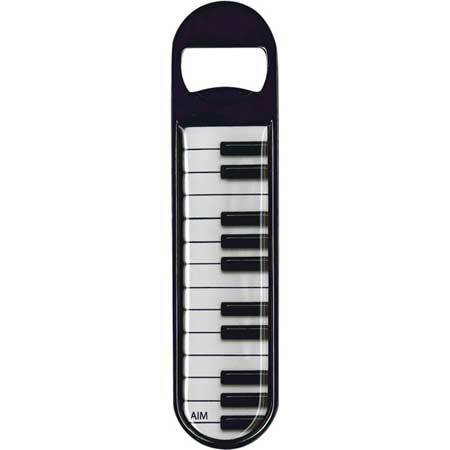 Piano Keys Bottle Opener – The Piano Keys Bottle Opener is a cool gift idea for that special pianist in your life! With its magnetic backing, you can hang this unique metal bottle opener on the fridge in the kitchen or just keep it in your pocket for when you’re on the go. An awesome musical gift accessory for whenever you need to pop open a cold one! Approx. 4.5″ x 1″.